The door to the Baptisterium San Giovanni in Florence. The size and radiance is overwhelming when standing at the foot of it. Each rectangle depicts a biblical scene. 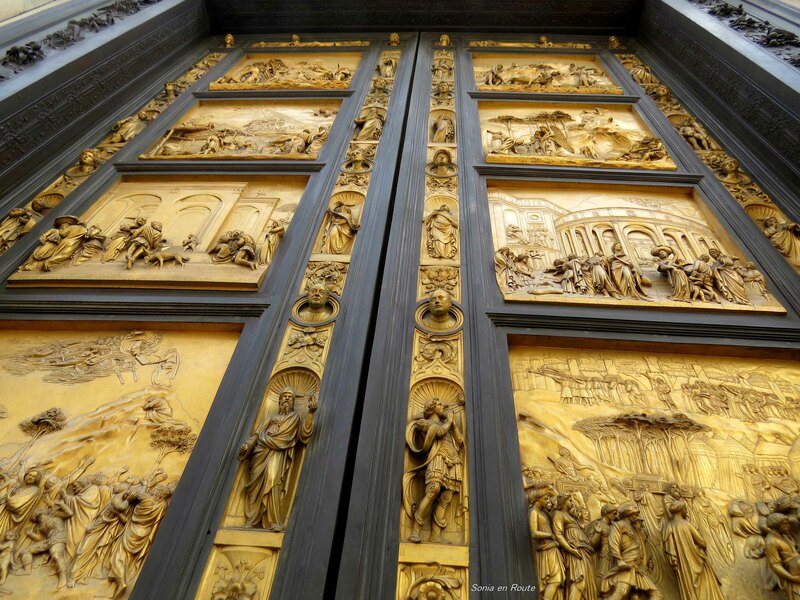 The door is located at the side of the building where the sun does not reach and yet the amount of gold reflects the sun off the bright facade of the Florence Cathedral quite enough. My contribution to Cee’s Fun Foto Challenge – Doors and Drawers. I am glad you like it. This is one of the most beautiful door I have ever seen. I am amazed at the skills of the artist who made it. I had the good fortune to see this one in person – truly spectacular isn’t it? Now thats what i call a door!